A great lunch that leaves room for a great Italian dinner. Add marinated and grilled chicken to make this a complete lunch or light dinner. A fantastic summer evening salad. Goes great with "All time Best Marinated Chicken." Blood oranges, which are available from December through April, serve as the basis for this refreshing mid-winter salad, a classic in Sicily. 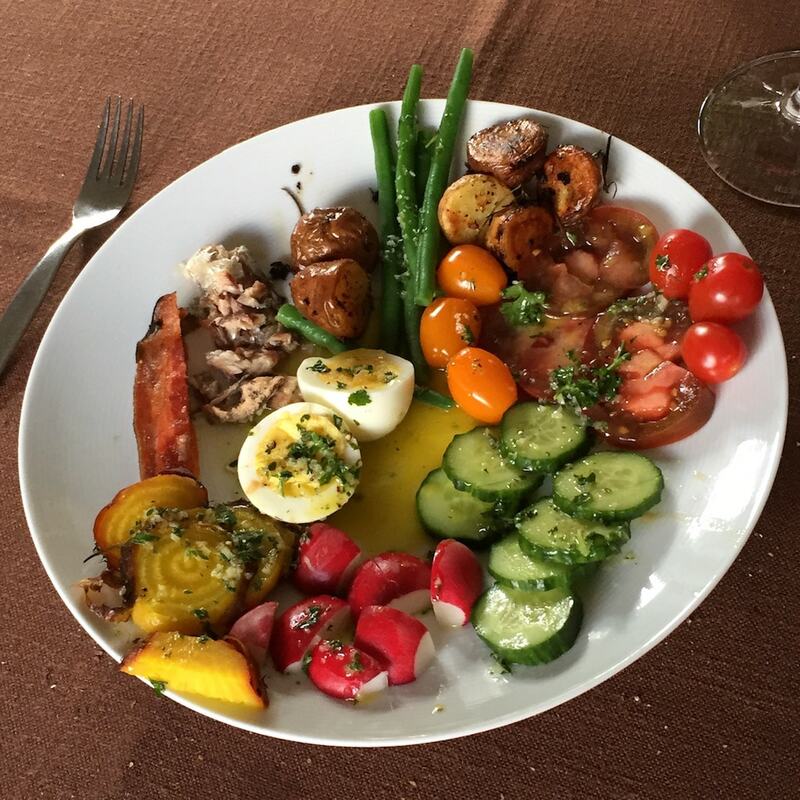 We reverse engineered this salad from a Rhine waterfront restaurant in the village of Boppard. 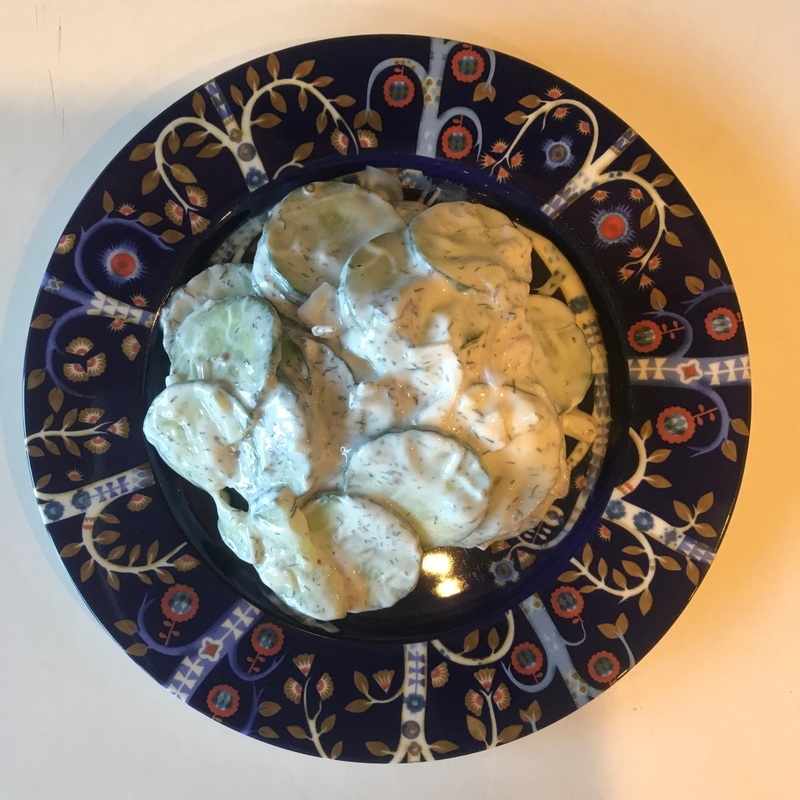 This recipe uses the same ingredients as Greek Horiataka salad, but slices and dices them in a very different fashion. This recipe was allegedly found in an old newspaper. It purports to be from Earls Restaurant back in the day of the giant papier-mâché parrots and green and white umbrellas and Mocha Kahlúa Pie. True or not, it certainly tastes like the real thing. 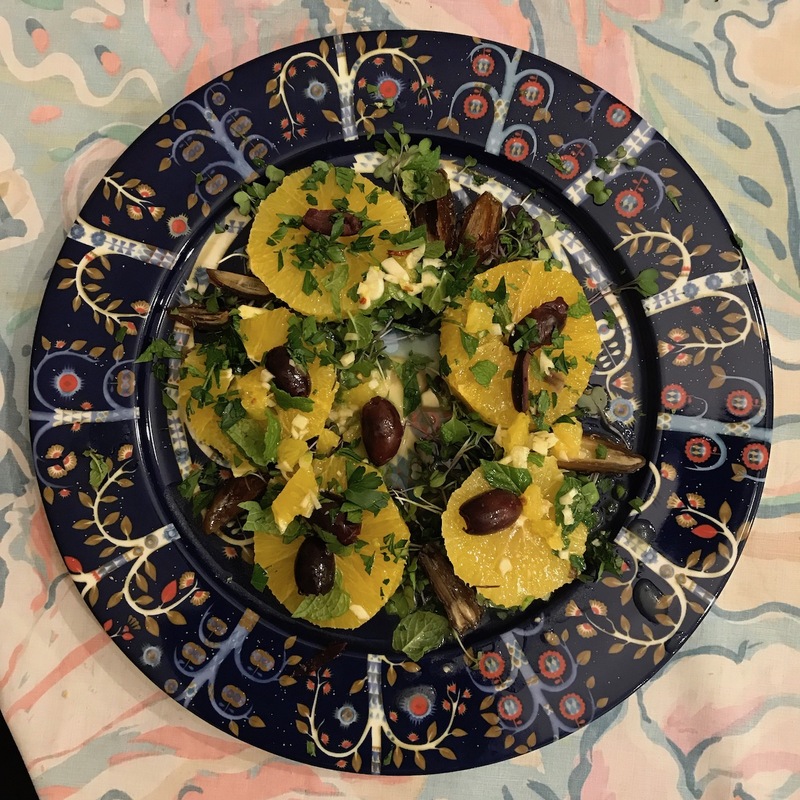 Honey and Cumin give this salad a Moorish character. The sharp, nutty manchego cheese shavings add another taste of Spain. Serves 6 as a salad course. 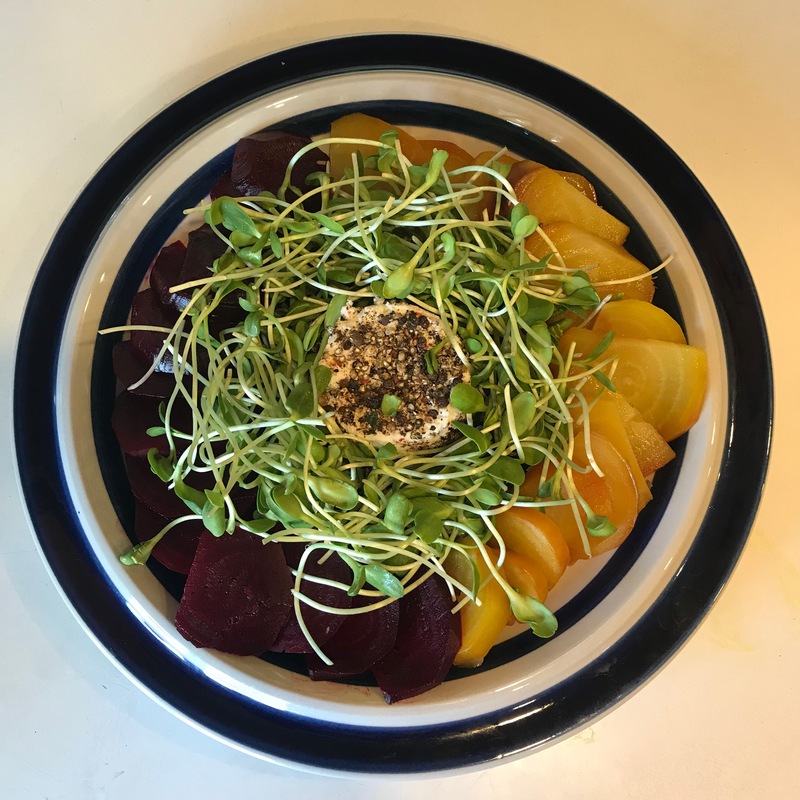 Margaret reverse engineered this salad after eating it at the Capers Restaurant on Marine Drive. I have since discovered that it was first created by Constance Spry for the Queen's Coronation lunch in 1953. There are now dozens of variations to be found on th internet. 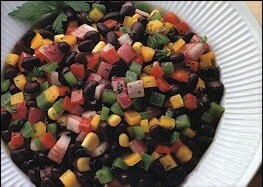 A Spanish bean salad. Very similar to the Italian White bean salad. Mixed greens are the base for 1001 salads. This one uses Walnuts goat or blue cheese and Honey mustard vinaigrette to make it unique. You may also decide to just use the walnuts raw, and/or switch the cranberries for pears. A fruit and grain savory salad. Delicious with grilled fish. This salad features the colours of the Italian Flag. Mixed salad greens topped with balsamic grilled cherries, blueberries, goat cheese, and candied hazelnuts. This fruity and flavorful salad is a must make for summertime. Fresh and delicious summer salad. Lots of variations possible. 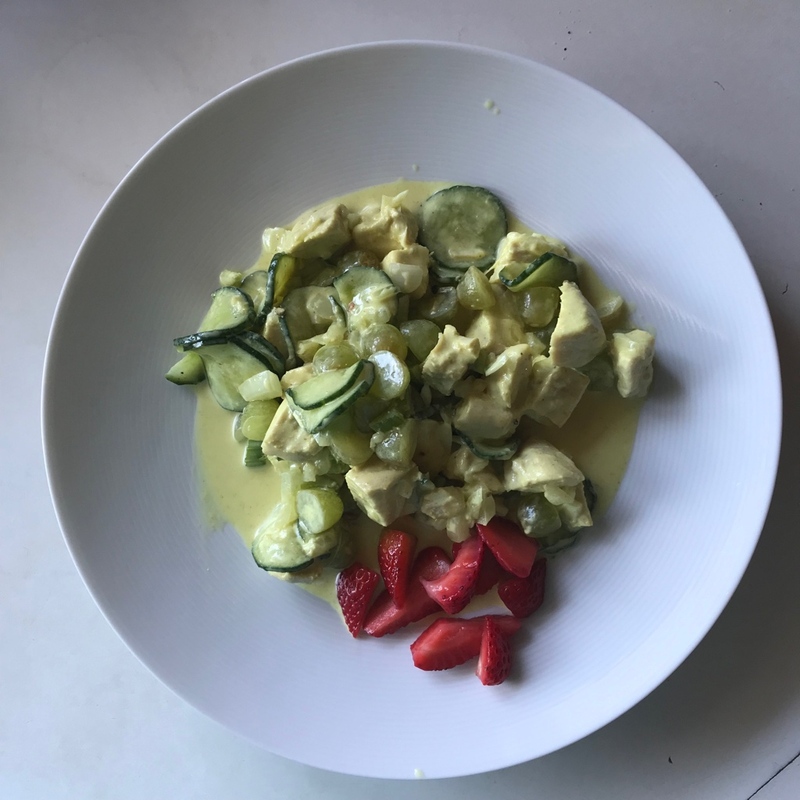 An easy recipe, that takes about 20 minutes to make. The cook's main responsibility is to shop wisely. This salad stands or falls on the quality of the ingredients. 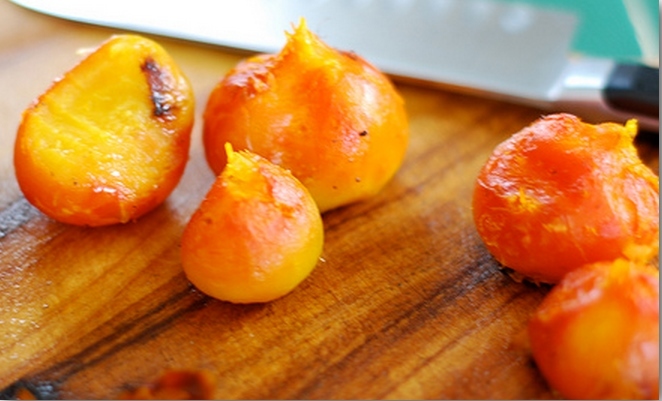 The tomatoes should be small heirlooms if they are in season, or otherwise, B.C. cocktail tomatoes on the vine. The preferred cheese is Burrata, and the olive oil should be the higher quality kind, intended for drizzling. Just the thing for a day when the thermometer is over 30 degrees. If the Italians made cold pasta salads, this would be one of their classics. Cilantro is widely used throughout Asia, India, North Africa and in Latin America where it is an integral ingredient in fresh salsas and sauces.In other words, it is used universally. Limes were first grown on a large scale in southern Iraq and Persia, and the fruit was first grown commercially in what is today southern Iraq (Babylonia). To prevent scurvy during the 19th century, British sailors were issued a daily allowance of citrus, limes or lemons. Today, these ingredients make North Americans think of the Caribbean, Mexico and Thailand. The word Orzo is actually Italian, Kritharaki is the Greek word for this rice-sized pasta. The egg yolks and dressing are supposed to remind us of Mimosa Flowers. Fifteen minutes prep time. You will have salad dressing left over. 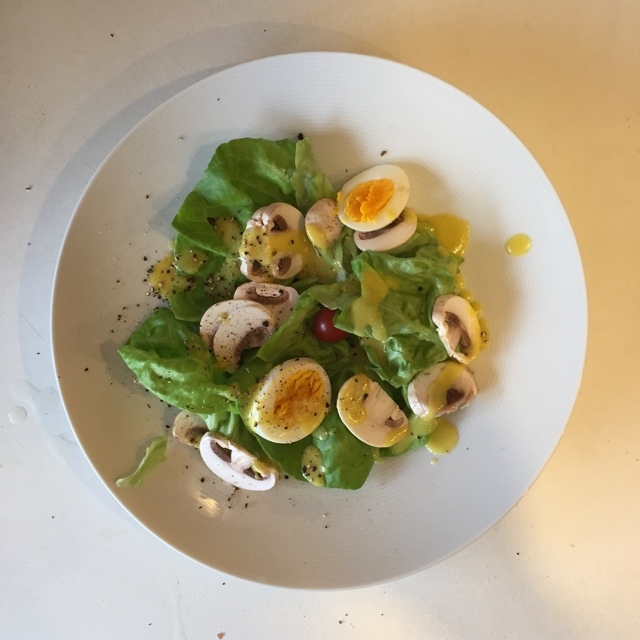 This composed whole meal protein rich salad is a classic from the city of Nice in the south of France. Nowadays, it is a staple at bistros and brassieres all over France. Sweet and sour cabbage slaw served at North Woods Inn, California. This is a traditional Tuscan bread salad devised to use up stale leftover bread. 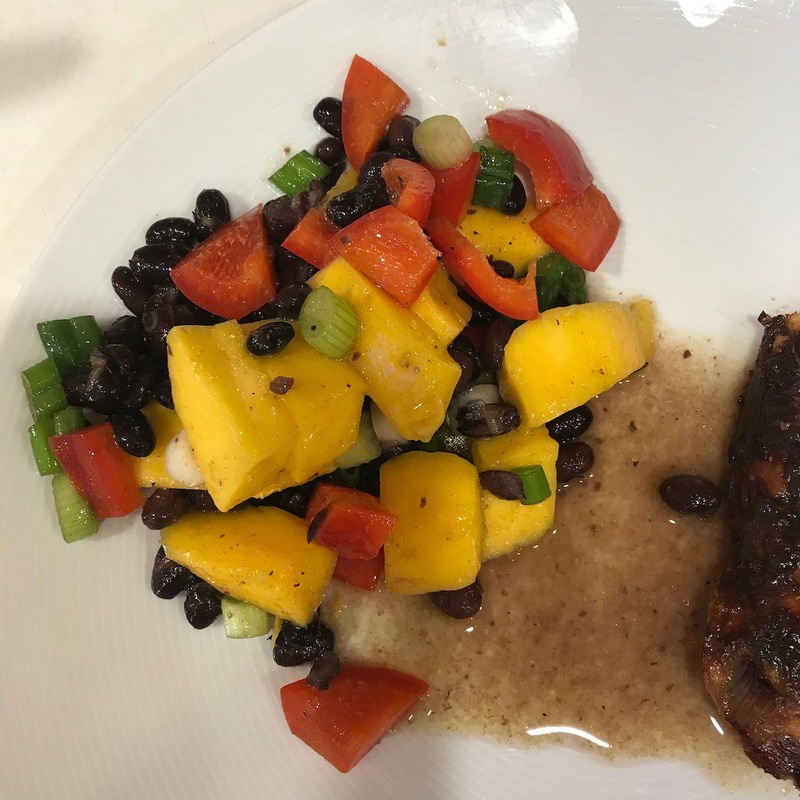 It started out as peasant food as it was cheap to make and also filling. Subtle pear flavour, sharp Gorgonzola and crunchy nuts make this a delicious salad. Another great Tex-Mex recipe for lunch or dinner. Just add some dinner sausages and tomato slices to make it a meal. To char the chiles (or any fresh chile): Put the chiles over a gas flame or underneath the broiler and cook until they are blackened on all sides. Enclose them in a plastic bag and let stand for 10 minutes to steam, which will make them easier to peel. Peel, stem, and seed the chiles. Once peeled, the chiles may be chopped, sliced or stuffed. Shallots are the prince of the onion family! This is a week night dinner with grilled meat and sicilian vegetables. This is a Southwestern Cobb Salad with a spicy cilantro lime vinaigrette. 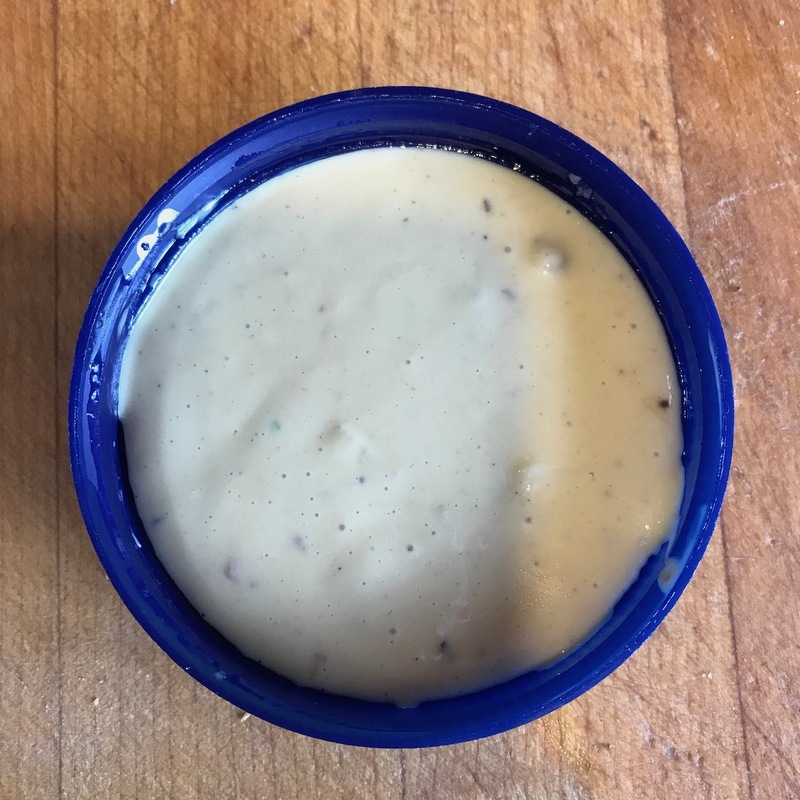 The dressing is really quite good, but since not everyone can handle the jalapenos, I often serve the dressing separately. This recipe contains nearly all the classic Greek salad ingredients, but has a distinct character of its own because of the orzo and the pureed spinach. Can be made into a meal by adding two cans of sardines. The sardines should be added to the top of the salad just before serving. 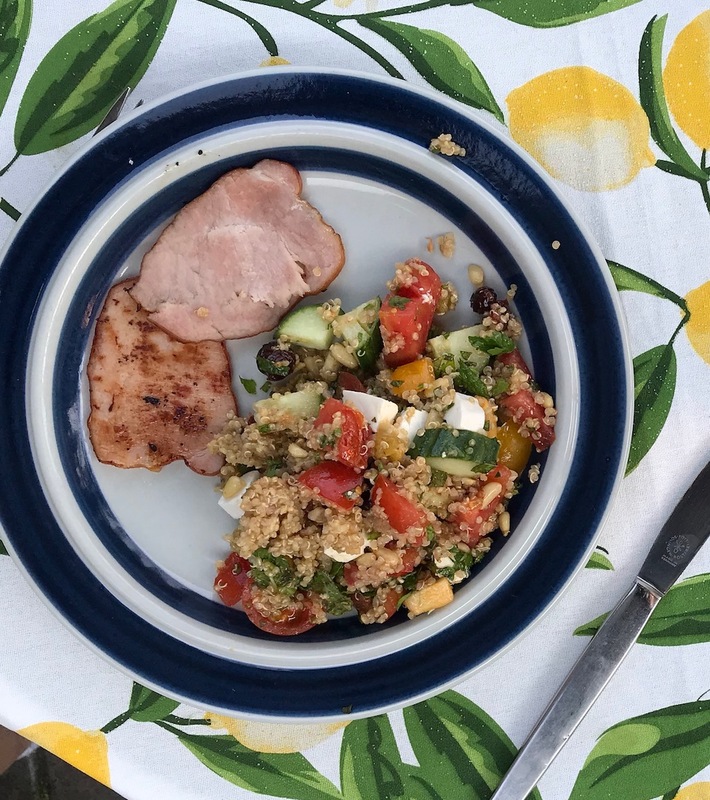 A refreshing summer salad featuring parsley, Bulgar wheat, tomatoes, cucumbers, mint, olives and tomatoes dressed with a lemon vinaigrette. Make it a meal by adding Feta cheese cubes. A luncheon meal or dinner course. Great summer salad. According to the American Century Cookbook, the first Waldorf Salad was created in New York City in 1893, by Oscar Tschirky, the maître d'hôtel of the Waldorf Astoria. The original recipe consisted only of diced red-skinned apples, celery, and mayonnaise. Chopped walnuts were added later to this now American classic. The secret is getting enough oil and juices so the rice is not dry at all. 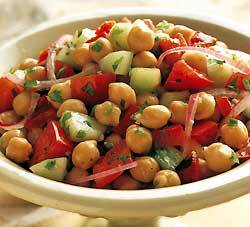 Tastes even better with roasted pine nuts or slivered almonds sprinkled over the salad. The crispy pancetta and creamy gorgonzola pair perfectly with the peaches. This salad is only good with ripe peaches if the peaches have no flavor this would be a sad salad, so buy accordingly.